Imagine if you could just buy the appliance you need and then have someone else prepare it for exploitation as soon as it’s delivered to your home. That would be simply wonderful, right? Well, with Fantastic Handyman, your wish will become reality. Not only that, but we can also help you disconnect and remove any old kitchen appliances that you have lying around at a budget-friendly price! 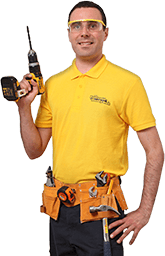 The skilled and precise handymen can readily provide you with a rich variety of appliance installation services. For example, if your to-do list includes tasks, such as dishwasher fitting or dishwasher plumbing installation, the experts will immediately put their tools and extensive know-how to good use to get the job done. 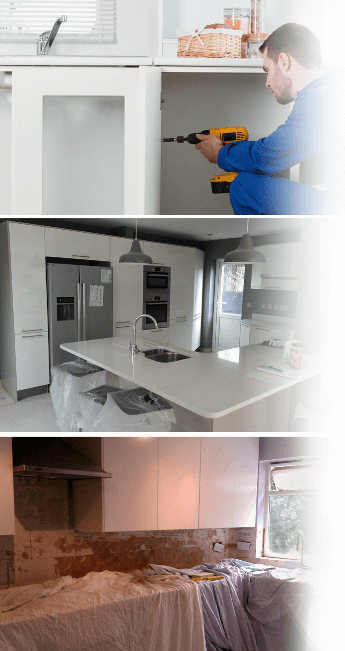 The pros will also carefully place your appliance at your desired location, neatly handle all electricity connections, properly hook it up to the water supply, and test if everything works as advertised. Q: What do I have to do to prepare for the pros' arrival? A: You should check if all valves are functioning as intended. If you find any faults, then you will need to hire a qualified plumber first. And if your new washing machine did not arrive with hoses of the appropriate type and size, then you will also need to keep an eye out for suitable replacements. Q: Are there any installation requirements that I should have in mind? A: When it comes to fitting a washing machine or a dishwasher, you need to make sure that your appliance is no more than a metre away from the water supply. If that’s the case, then the specialists should have no trouble fitting the appliance within your preferred kitchen spot.